The University of Oregon is committed to providing all of our student veterans and their families with the highest level of support and dedication. Our campus offers a variety of resources to assist you during your time at the UO. Professional staff in the Office of the Dean of Students can help you navigate campus and connect you with these important services. 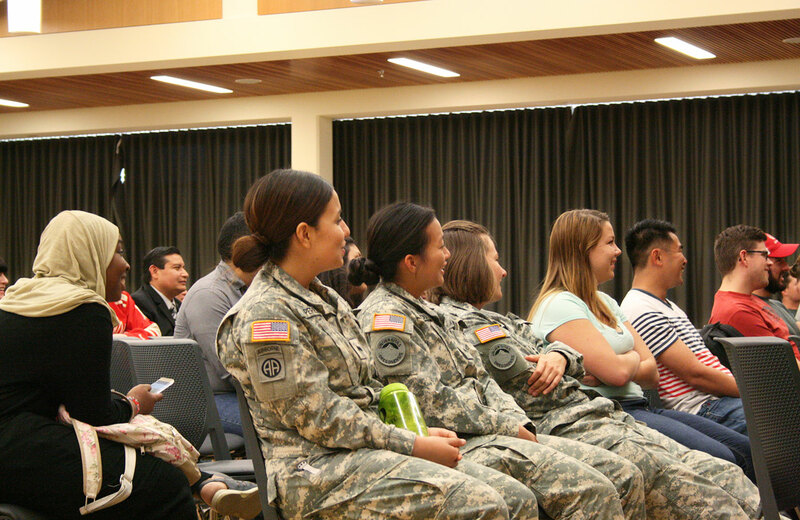 The UO welcomes students who have served our country in the armed forces. The Office of Admissions and the UO Office of Veterans Affairs assist veterans in making a seamless transition from military service to the campus community. Our mission is to make sure that all eligible student veterans, reservists, and dependents obtain educational benefits in compliance with the procedures and regulations of the U.S. Department of Veterans Affairs. Having a community that supports you through your college experience is important. There are a variety of programs on campus focused on connecting student veterans and their families, working to make you successful. On-campus medical care and mental health services are available to enrolled UO students. There are also centers in Eugene that are managed by the U.S. Department of Veterans Affairs. There are a number of services available to support you in your UO experience. The Career Center is a source for student employment, internships, and career advising. Family housing offers apartments for older students and those with families.